Suddenly finding yourself out of work is easily one of the most stressful experiences a person can go through. The finite nature of your resources becomes all the clearer when you stop finding yourself able to keep adding to them. The important thing is to not immediately start panicking and acting like the sky is falling. Rather, now more than ever you need to be composed. You need to look at your options and plan. You can get through a hard period, so long as you don’t try to ignore it. The first few points we’re going to cover are to do with preparation. They’re for those who aren’t yet out of employment but preparing for the possibility. For those of you already in that situation, this won’t apply too much. But it can be a valuable lesson for the future. The lesson being: insure yourself and your ability to earn. When people consider the most important things to insure, they think physical. Not everyone thinks of income protection insurance. However, being between jobs is an eventuality that most of us will face at some point. The sooner you start putting towards your preparation for that eventuality, the better. The more you’ll be able to protect yourself from the harsh financial effects of it all. Sites like http://www.gocompare.com/ can tell you more details. You don’t necessarily have to sign yourself into an insurance agreement to support yourself down the line, either. One of the must-read tips you’ll see for any financial planning in the future is that you prepare for emergencies. A lot of sources will recommend between three and six months’ worth of wages being your emergency fund. While you’re still making money, you should put somewhere between ten percent of your earnings towards a fund. The quicker you save it up, the sooner you can forget about it. 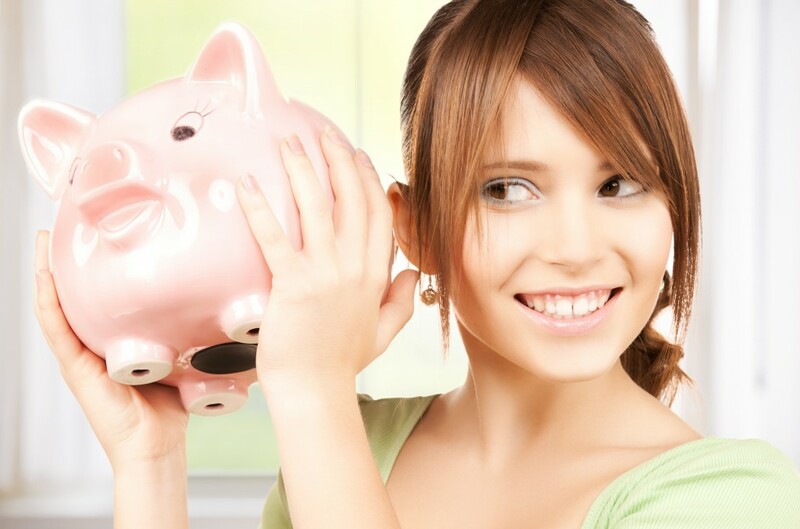 There are a lot of ways you can boost those savings, as well. Some of those methods will double as how to take care of yourself when out of work. It’s important that those who need to know are informed of your change in circumstances. Out of all your creditors, it’s your bank that you need to inform the soonest. Banks, despite the reputation of some, are determined to keep a hold of customers. They will be likely to help you come up with solutions to slow down any payments you have to make. Renegotiating with your creditors is essential. As is letting any landlord know before it’s too late. Some may fear that their landlord might retaliate, but you have rights. If you’re able to keep paying for a while, they can do nothing. Even if you can’t, they are law-bound to give you some time that you can use to find alternative lodging. You may not know how long you’re going to be out of work. Even if you’re able to get money to tide you over, you need to be doubly careful with it. You need to make sure that every cent you spend is planned for. That’s why you need to create a skin-tight budget. It’s easy to budget using Microsoft Excel or Google’s free Sheets apps. When you get a closer look at your budget, you will find parts of it that are easier to trim down. Give yourself a share for the essentials, including the home and the car, as well as the occasional luxury. It’s a stressful enough situation without taking the time to treat yourself. As we have said, getting your hands on a budget can help you identify a lot of ways you might be able to cut down. For instance, it’s too easy to build up subscription payments for services you use occasionally and forget them. Now’s the time to get rid of a lot of those subscriptions you don’t use and negotiate a different price or deal on the ones you feel like you need. For your shopping, you might need to find yourself doing a lot more bargain and coupon hunting. There are other seemingly small purchases that can add up. For example, instead of getting takeaway coffees, get yourself a thermos and fill it up before you leave the house. Shop in thrift stores at least some of the time. If you’re inventive, you can find a lot of ways to cut down your expenses. Of course, one thing that needs to be considered is why you’re no longer able to work in the first place. Whether it’s temporary or not, you might be liable for more support than you’re getting. For instance, if it’s due to an injury or illness from the workplace. Then services like http://www.nationwideinjurylawyers.co.uk/ might be able to help. If you’re not getting workers’ comp, you might have a right to get real compensation. The same applies for cases where you were wrongfully terminated. Sometimes, you have to be willing to fight to get your even share. You have a right to work, after all. There’s a good chance that you won’t be entirely without assistance, either. Depending on your situation, you might be eligible for government assistance. Unless your savings are beyond a certain point, everyone is entitled to workers’ benefits. Are you suffering from a debilitating injury or condition? You might also get some assistance based on working disability. You might even be able to get help paying for your accommodation in terms of housing benefits. This is all very dependent on your situation. So long as you’re willing to ask, however, you might find that you’re in a better position that you initially thought you would be. We know it can be an embarrassing step to take, but your stability is more important than ego. Of course, you might find yourself in a situation where you’re ready and willing to work. Looking for your next means of employment is important. It should be your full-time job. But just as important is finding the other ways to support yourself. For example, looking through all your possessions is a fine start. Now’s the time to streamline all you own and get rid of the stuff you never use. Then there are a lot of ways to use your spend time to make money through the internet. From taking surveys to doing freelance writing gigs. If you have a hefty bit of extra money saved, or even just a bit of superfluous cash, consider what you’re doing with it. If you’re unable to find work, are you going to watch it sit there while your funds dwindle? Or are you going to try and make it a bigger sum of cash? When it comes to ways of putting your money towards the future, you’ll never get a lot more by saving. Instead, you should think about ways to invest it. You don’t necessarily have to play with big numbers to get into investing. There are a lot of low-initial-investment mutual funds to check out. The important thing is that your money is actually doing some work for you. Asking for assistance from government funds set up to do just that can be hard. Asking for it from friends and family can be even harder. However, if it gets to the point where you need to, then no stone should go unturned. When you’re borrowing from friends and family, the key is communication. You need to be clear and detailed. You need to know how much you need to ask for and tell them why you need it. Go into how you’re going to spend it and consequences if you’re late in paying it back. They may already have every confidence in you. However, being upfront and transparent about the situation is the only way to keep yourself accountable. If you get to the point where you’re borrowing and scrimping, then your emotional health can take a bit of a knock. Difficult situations like that can easily lead to stress. Second guessing your abilities and your reliability can lead on to anxiety and depression. That’s why it’s important you take the effort to look after yourself. Seek the support of those close to you. If you feel like you’re unable to talk to them, you should be willing to consult a helpline. Money stress is common. It’s important to remind yourself that you were able to get yourself in a better position before and will likely be able to again. Stay positive and remember that this is all temporary. You’ll be back in gear before you know it. Depending on your situation, some of these strategies are going to be a lot more applicable than others. However, we hope the points above help you figure out your next step or even inspire some ideas of your own.